Low Cost versus Conventional. What does low cost mean? When talking about travelling, low cost are all those companies with an optimized charging structure and a massive sales philosophy. These two approaches allow low cost companies to save money and therefore offer better prices than traditional companies. It works for hotels, flights or, in our case, car hire. Low cost car hire companies are specialised in cheap car hire. They are located in most tourist Spanish cities, such as Málaga, Mallorca, Alicante and Gran Canaria, but also in other countries: in Italy, in Rome, Milan and Pisa (nearby Florence) and in Portugal, in Faro and Lisbon. Low cost car hire companies are usually located at airports where low cost flight companies -Ryanair, Easyjet...- land. Most of the times, low cost car hire companies are not located inside the terminal: in order to save money, they locate their offices nearby the airport, where they don't pay the airport holding company for renting some space inside the airport. Nowadays, they are also locating new offices nearby main Renfe AVE railway stations in Madrid, Barcelona and Alicante. Most conventional car hire companies, such as Europcar, Sixt, Avis, Hertz and some local companies such as BK rent a Car in Mallorca, Menorca and Ibiza, or Cicar in Canarias (Gran Canaria and Tenerife Norte / Tenerife Sur) have all included fares. However low cost car hire companies such as Centauro, Record, Solmar and some local ones, only include the basic hiring price on their fares, and most mandatory complements will only show up at the counter. Staff will usually put you under lots of pressure to buy additional extras. Low cost companies are mostly located at the most tourist airports: Alicante, Málaga and Mallorca. Though this low cost model is installed in Spain for more than 10 years now, low cost companies have had different fates. Some of these companies have been fined for price arrangement anti-competitive conduct. Centauro is a low cost company from Benidorm. It grew up as British tourism arrived to Alicante Airport. But they also founded their business on the city hotel market. With an annual turnover of over €70 million, Centauro is a reference company in the car hire market. It has a low cost business model, implying some hidden charges in its terms and conditions that result into costumers complaints. However being a successful company, it became a second-hand car fleet resale market-oriented business, rather than a pure car hire company. Based on Alicante, SolMar SELEC has recently been acquired by a new car selling business group, already owning some car dealership. This new orientation made them increase their fleet on over 8,000 vehicles and open offices in Barcelona, besides the already existing offices in Alicante, Málaga and Mallorca. Their offices are always located nearby the airport, therefore offering competitive prices. Even though they are a low cost company, and its income strategy is based on surcharges and supplements when picking the car up (coverages, fuel policies...), they are trying to make their prices look clearer to their customers. Record Go is a company from Castellón. This is quite an unusual low cost company, as there is no airport in Castellón, and they have no car hire offices in the city. Their offices are located inside the airport terminal in Málaga, Mallorca and Alicante. Inside offices are much more convenient than nearby ones, which use a shuttle to drive you to their offices. Its low cost business model is based, as all afore mentioned companies, on surcharges and supplements when picking the car up. Two companies from Alicante, with little or no presence beyond Alicante airport (offices nearby the airport, not in the terminal). Spanish island companies have a different business model compared to mainland companies. Some local companies have risen in the market, offering very interesting and solid car hire options. It's not a low cost model, and they are an excellent choice. It has offices in Ibiza, Mallorca and Menorca airport. It owns more than 5,000 cars and offers a great customer support. Cicar is a Canary car hire company, with offices in Gran Canaria, Tenerife Norte, Tenerife Sur, Lanzarote, Fuerteventura and La Palma. They allow you to get the car and drop it off at your hotel, for free. Good deals. Hertz, Avis, Europcar, National Atesa, Sixt. These are prestigious multinational companies. Their original business targets were customers travelling for professional reasons, and they have a policy to offer best quality services. They are appreciated for their quickness, car condition and customer care. Most well known conventional companies come from United States (Avis and Hertz), France (Atesa and Europcar) and Germany (Sixt). On the other hand, low cost companies are of Spanish origin, and were created to offer a new car hire market to tourists. In Spain, low cost companies are growing fast, while professional travellers are decreasing, or changing to low cost companies. To face this incoming new market, conventional companies are launching their new second marks, which will now raise the same problems and complaints from the customer as previous low costs. It has been launched in some European countries, but it is ONLY low cost in Spain. In France, Germany, United Kingdom and other countries, it is just a little bit cheaper than Europcar. And, unlike Europcar, it is located in secondary airports (Low cost airlines airports). Thrifty and Firefly belong to Hertz. Same strategy as Europcar. These second marks are tourist target and work on different European countries, in secondary airports. They only compete with low cost companies in Spain. Everywhere else, they are just somehow cheaper than conventional companies. Budget belongs to Avis. Just like the previous mentioned companies, they offer cheaper car hires, and a greater small car categories fleet (the ones preferred by tourists). They only have a low cost business model in Spain. That is, you will find strange fuel policies and unexpected surcharges right at the counter, when picking your car up. eAlquilerdeCoches / RentalCars.om have cars almost everywhere in the world. They are the biggest car hire company in the world, and have a guaranteed minimum price policy. Against them, we can point at their stressing fictitious messages such as: "there are only 3 cars left at Alicante Airport" or "prices are rising". In order to make a booking you must pay the whole amount. But they give you the money back if you need to cancel it. They are not clear on hidden costs, and you should look into the Ts&Cs. As most people do not read Ts&Cs, many customers will fall into low cost companies, not even knowing the fuel policy or coverage they are buying. Amigoautos are specialised in low cost companies, so you may end up hiring a car with Record. Knowing their market, you know your options. Their main advantage is that they usually offer you a discount on their website. PepeCar used to have their own car fleet, and were part of Halcon viajes, but not any longer. Now they are a car hire comparison site offering cars through Amigoautos. They offer the same cars as Amigoautos. Same as Pepecar, they used to have their own car fleet, but not any longer. Now they offer third parties car hires thanks to an agreement with Car Trawler. Same as Vueling and Renfe. Atrápalo is a Leader Travel Company. They offer car hires with some extra information. However, and as usual, it is a must to read and understand the small print. They offer car hires from almost every operator in Spain, and discounts when booking hotel + car hire or flight + hotel. Same as Atrápalo. Nothing to add. 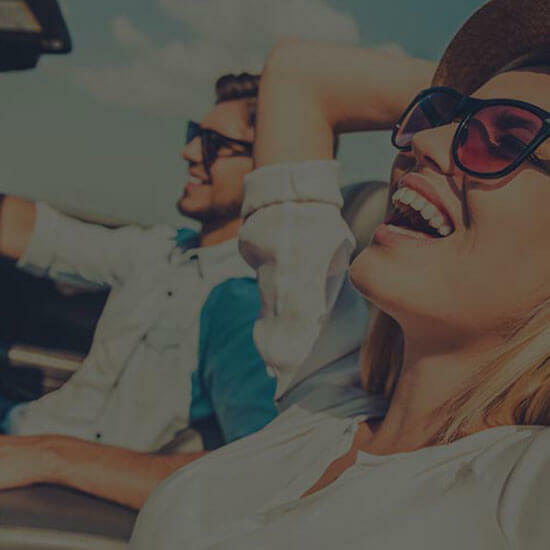 Despite its popularity as a hotel comparison site, as a car hire comparison site, Kayak is not offering much than Atrápalo, eDreams or some similar companies. However, they are known to be great on hotel bookings, so if you are also looking for a car hire, it is an option. Think of it if travelling outside Spain. Just another comparison site. Nothing to add. They just offer the typical operator comparison, but if you are travelling to the United States (Miami, Los Angeles, New York), it can be the perfect match for you as they have agreements with many car hire operators.